Having fun as a picky eater eating my way through MKE!! The main thing I love about groups like #MKEFoodies and Yelp is that the events give me an excuse to try foods I wouldn’t normally eat. After the last #MKEFoodies event at Branded where I ate shredded duck and liked it, I wanted to give it another go and see how it went. The #MKEFoodies event last night was at Ryan Braun’s Graffito. After a few drinks and a tour of the kitchen by Chef Dane Baldwin, the kitchen began bringing out small plates of different pizzas and pastas. But, if you have been following my blog, you will know that I started a gluten free way of eating 16 days ago. Which meant all of that fancy food that kept coming out of the kitchen was off limits to me. No worries though…..I noticed on their menu that they had gluten free pasta available. I asked for an entire gluten free menu, and to my surprise they had one. Items that were gluten free were highlighted yellow, and any item that would be removed from the entree was circled in red. My eyes were immediately drawn to the Pappardelle. Which is a duck ragu, duck prosciutto, parmigiano and fresh herbs. Another chance to try duck prepared differently. The noodles, of course, were gluten free. 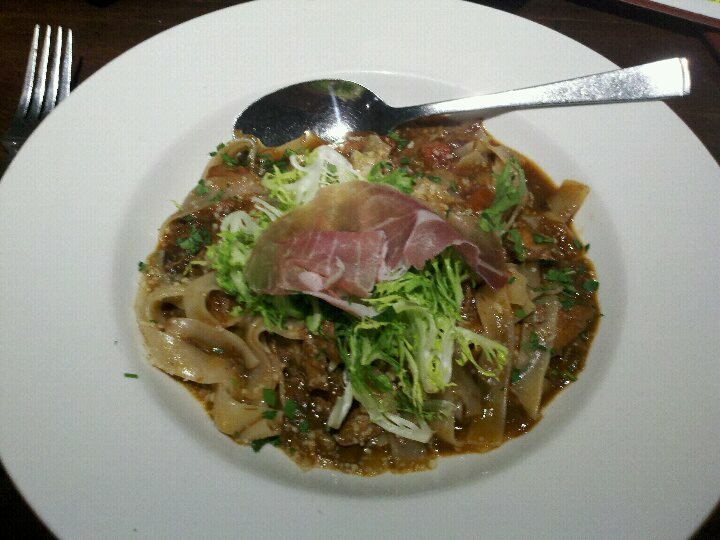 The Pappardelle was Delicious! I allowed a few others to sample, but I cleaned the plate myself. I have never been one to choose a dark meat! But, I may be slowly converting. One or two more attempts at eating Duck, and I can probably safely say I am a fan! This past Thursday I attended a #MKEFoodies event at Branded, the bar inside of the Iron Horse Hotel. We were treated to complimentary Old Fashioneds with the most wonderful Whiskey soaked cherry I have ever tasted. (Cherries courtesy Cherryland’s Best) and numerous appetizers on the Happy Hour menu. They brought out several plates that appeared to be different sliders. Without too much thought, I picked up one of the sliders and took a bite. It was a dark meat, so I just assumed it was some sort of beef. But, WOW, it was delicious. It was rich with alot of flavor. As I was enjoying that appetizer, I was told that the other slider was Tuna. So, I was a bit more interested in that. Since, much like Salmon, my experience with tuna has only really been out of a can or air tight package. I took a bite of the Tuna, and immediately inspected it to ensure it wasn’t too raw for my liking. Surprisingly it wasn’t. It was tender and not too fishy tasting for me. I was a fan!! But, as I was enjoying my tuna slider, I overheard someone say that they were eating Duck. WAIT…..did I just eat Duck without even knowing it….AND really like it? 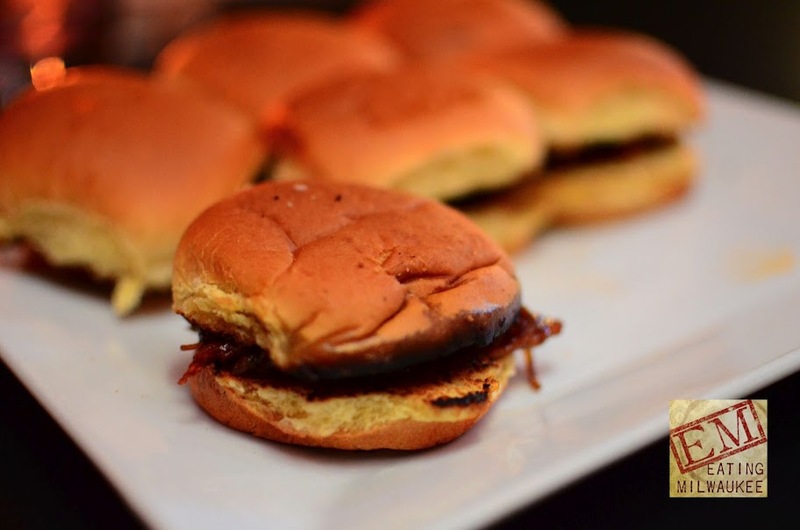 I verified with the next server that came out, and sure enough, the first slider I ate was Duck. I will be adding Duck to my list of foods that I like, and will definitely be trying again. If I would have known what it was I may have experienced some anxiety before eating it, or given the option on a menu may not have ordered it. It didn’t walk like a duck, or quack like a duck…..But, it was, in fact….Duck! Went for brunch at Stonefly Brewery today. My sausage and biscuits came with two eggs on the side. I saw this as an opportunity to give eggs a chance. I ordered them over-medium and asked for them on a separate plate. Just in case I couldn’t eat them, I didn’t want to ruin the rest of my food. I have found in the past that I would order meals that usually come with eggs over easy, but ask for them over hard. I would then complain about the meal being too dry. I am sure having the egg the way it was meant to be cooked would help moisten the rest of the food. But, I could never bring myself to do it. I really enjoyed my brunch at Stonefly today, over-medium eggs and all. 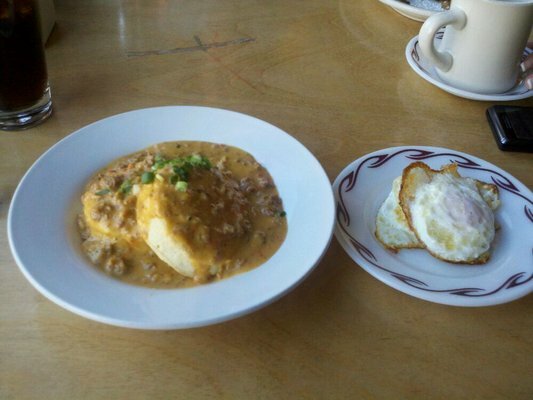 I look forward to giving Eggs Benedict, and many other brunch staples, another chance. The way they were meant to be enjoyed.